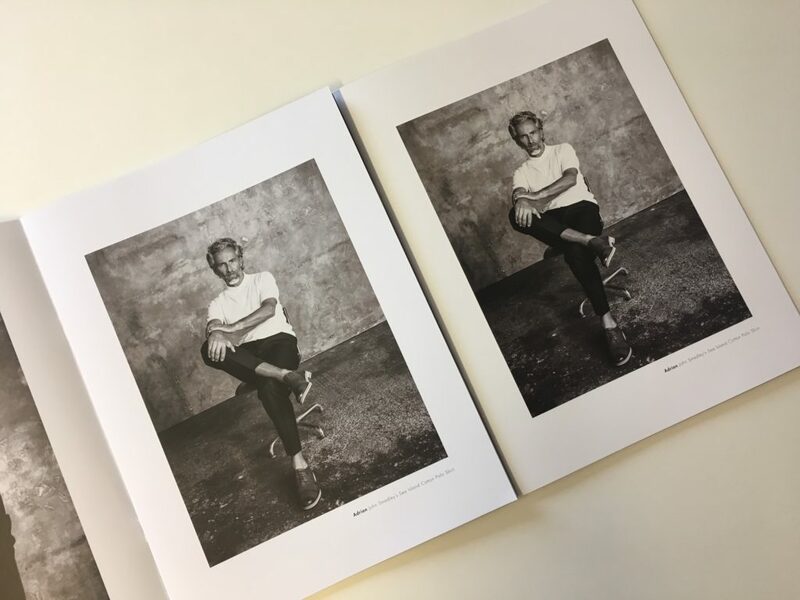 #InTheStudioThisWeek we’re reflecting on our recent visit from G.F Smith and the importance of paper stocks. At Glow, we love receiving a quality piece of print. We feel the texture, smell the ink and study the design. This is second nature to us, but are we the only ones? 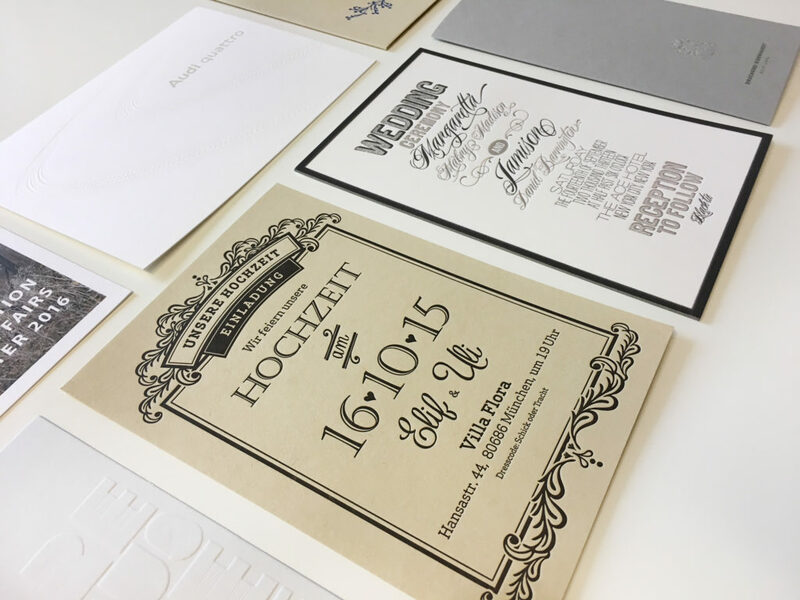 G.F Smith has visited the studio regularly over the past few year, not only to show us new papers in the range, but to remind us of the different techniques and finishes you can use to elevate print to the next level. Why spend money on excellent design, only to be let down by a cheap, thin paper stock? G.F Smith showed us the perfect example from John Smedley, a luxury knitwear company. 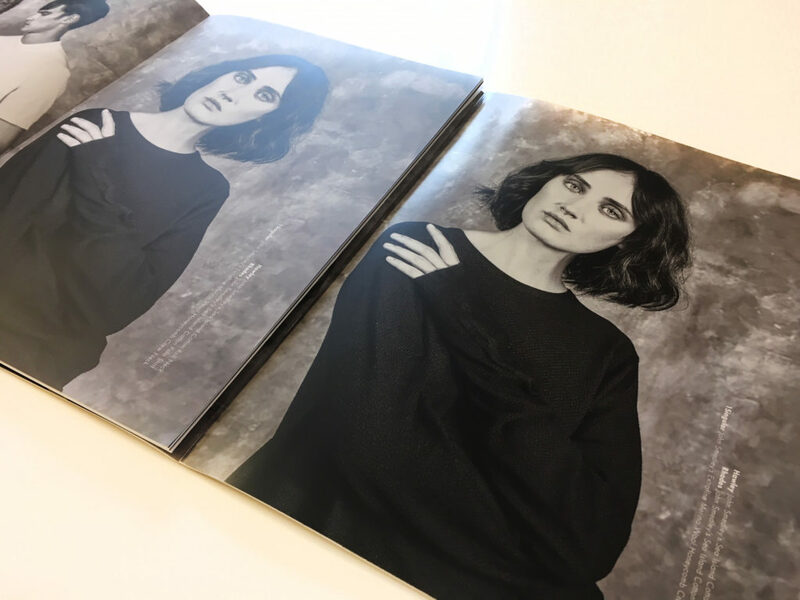 They created a look book with a selection of gorgeous fashion photographs, however were disappointed when they received the printed version on a standard silk stock. It seemed to cheapen the images and brand. Opting for a reprint using the Heaven 42 stock, the images instantly appeared more luxurious, with opulent contrasts in each black and white photograph. The brilliant white colour of the Heaven 42 paper made the original print version look dated in appearance. 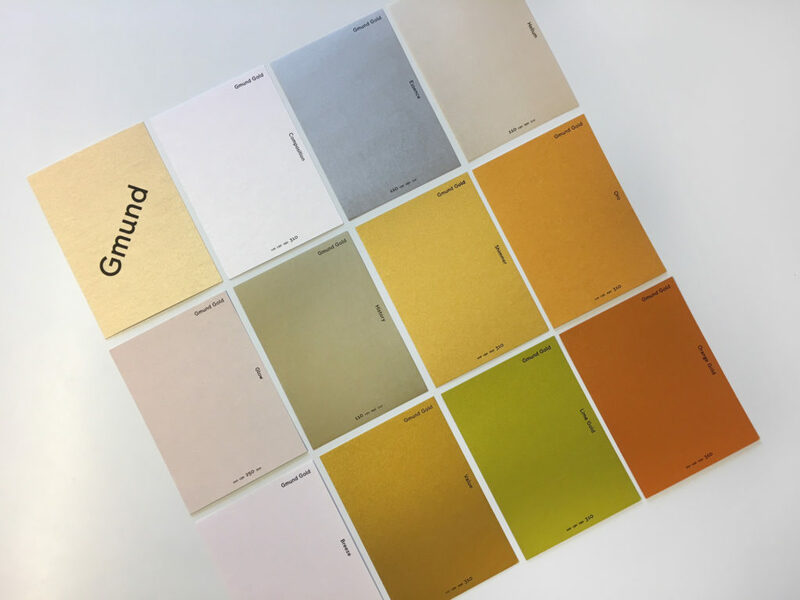 G.F Smith also showed us the new range of Golds in the Gmund range – who knew there were so many shades? There is even a colour named ‘Glow’ with a pink hue! We were also shown the Gmund Cotton and Heidi range, a neutral stock with a lovely uncoated texture. 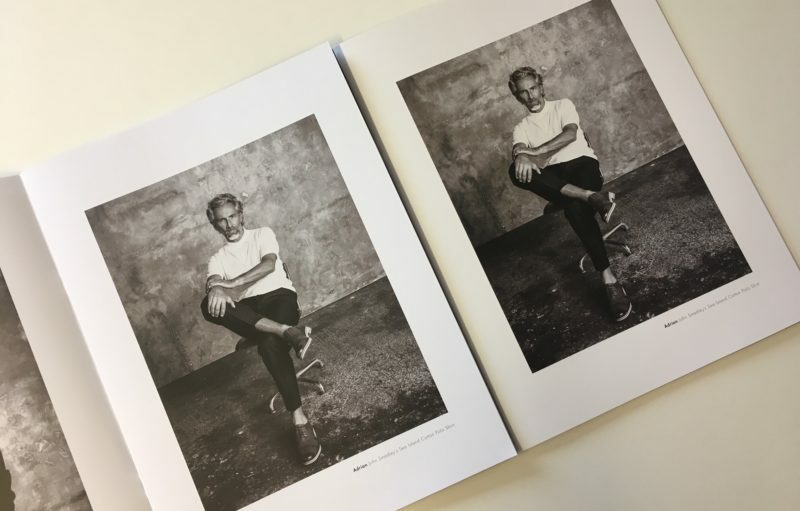 The printed examples, kindly brought in by G.F Smith, shows us just how versatile the stock is and how the appearance can be changed with a variety of other finishes, such as embossing, foiling and letterpress. For us creatives, working with print regularly, it’s priceless.